Here is a list of some of the new releases for the week of February 10th, 2019. I am going to divide the list into 4 days because there are so very many of them for the week. Today is the first of my list. Hope you find some selections for your weekly reading. Enjoy and happy reading. 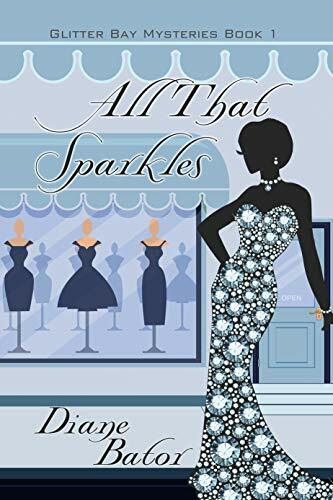 What do a trunk full of vintage clothes, a handsome land developer, and a fifty year old diamond heist have in common? Someone’s been barking up the wrong barstool in this uncannily enjoyable new canine mystery series from USA Today Bestselling author Diana Orgain! Every Friday night in the idyllic seaside town of Pacific Cove, California, the Roundup Crew, a group of dog-friendly folks, have a spirited meet-up at their local wine bar. But when the owner, Rachel, leaves town on mysterious business―and her pet-unfriendly sister, Maggie, takes charge of the bar―things take a ruff turn. Not only does Maggie find a body sprawled on the floor, it’s accompanied by an incriminating letter with Rachel’s name on it. On impulse, she hides the letter from hunky detective, Officer Brad Brooks. Kate Carlisle, New York Times bestselling author, on Yappy Hour. With Rachel as the prime suspect, Maggie sniffs out the scene on her own while getting to know the Roundup Crew and their four-legged besties. The Doggie Daiquiris and Muttgaritas are flowing, but it’s not long before another body turns up. 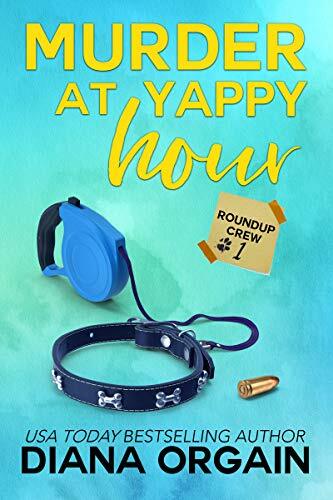 Thanks to the Roundup Crew, Maggie’s new litter of friends will do anything to save the bar and solve the mystery. . .and maybe find a bit of puppy love in the process. Now that Diva Delaney knows the sinister truth about how her parents died, she has a plan to get to the bottom of exactly what happened. The only catch is that she’ll have to rely on Haydn to help her. 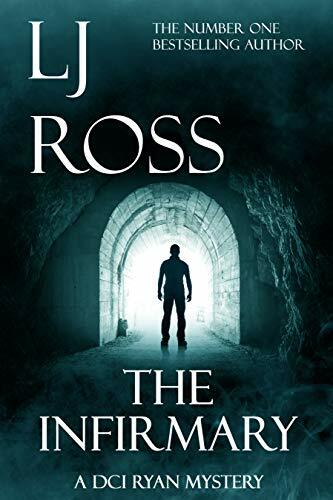 The ancient curse that affects both of their families means it would be a bad idea to be close to him, yet she can’t rest until she has the facts. Diva’s friend, Tyrone Ferrell, needs her help to find a missing person. 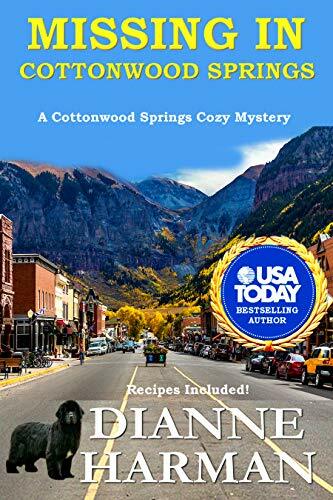 She’ll have to find the time to assist the sheriff from Lakeview to catch a very disturbed man even with her increasingly busy work schedule. 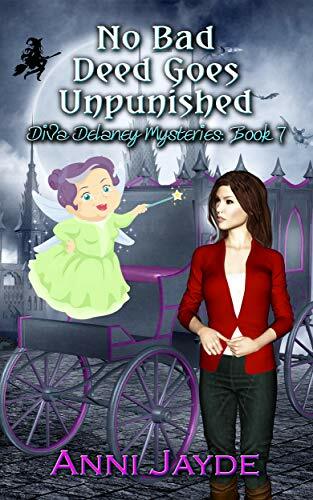 Even though she barely knows how to use magic, she will discover talents that aren’t in any spell books that will be invaluable to help her find the missing person. Woods is excited to be celebrating her first Christmas on the Isle of Man. She’s less enthusiastic that her former boyfriend, Jack, is coming for a long visit. While they split up months ago, before Fenella relocated to the island, Jack seems to be having trouble accepting that the relationship is over. 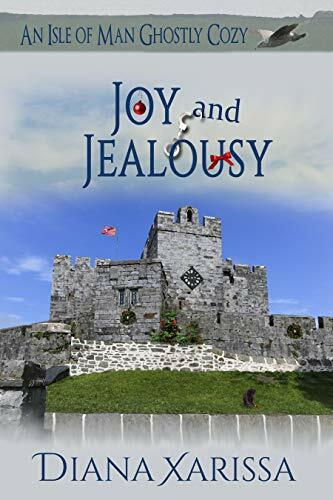 Jack managed to get himself an invitation to stay with Dr. Peter Grady, a university professor who has a second home on the island. Dr. Grady isn’t home when he and Fenella arrive, but a string of beautiful women looking for the man turn up almost immediately. 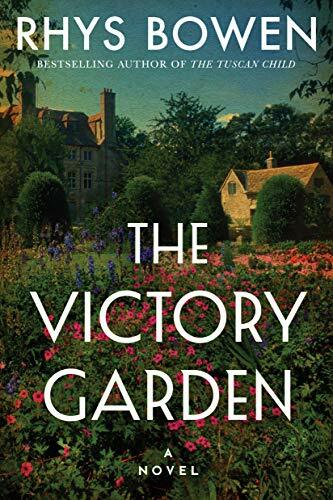 When one of the women discovers Dr. Grady’s body in the master bedroom, Fenella finds herself in the middle of another murder investigation. Letting Jack stay in her house on Poppy Drive is necessary, but that puts him right across the road from CID Inspector Daniel Robinson’s house. Daniel and Fenella are still trying to work out where their personal relationship is going. Now he’s investigating a murder where Jack could be considered a suspect and might be the killer’s next target. Human trafficking in the small Colorado town of Cottonwood Springs? That only happens in the big cities, right? Planning a wedding is hard enough without having your florist disappear. And it’s even worse when there’s a chance that people engaged in human trafficking may have come to the small town of Cottonwood Springs and she’s a victim. When Pepper teaches a class at the Southern School of Magic, she expects a run of the mill experience. But when a gaggle of mean teachers invades her classroom, Pepper is on high alert. These women are nasty and they make no bones about disliking Pepper. 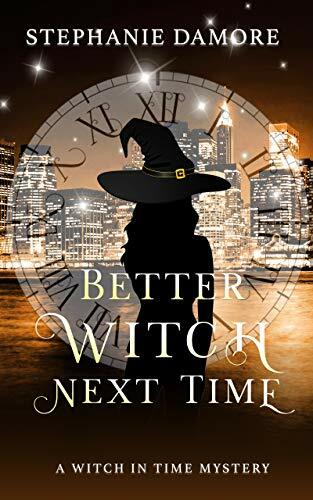 Pepper does her best to stay far away from them, but when one of the witches is murdered in broad daylight, everyone’s a suspect, including Rufus Mayes, who’s moved back into town. But Rufus’s intentions are honest. At least so it seems. After all, he gave Pepper an amulet that will protect her from evil. When her boyfriend, Axel Reign, discovers what Rufus has given her, he’s ticked off and rightly so. Not only that, but Axel drops a bombshell on Pepper regarding their relationship that will change everything. Can Pepper handle this new revelation in their relationship? She must decide, but there’s also a murderer to catch. 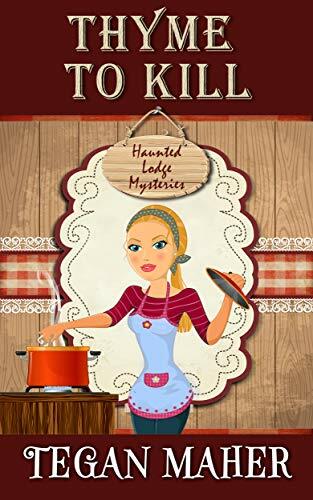 Can Pepper do both before she becomes the next victim of the Magnolia Cove murderer? She lives for jumping back in time and solving cold cases for the Agency of Paranormal Peculiarities. It’s the present day that trips her up. So when a missing persons case comes in, throwing her back to 1958 New York City, Vee sets off to solve it. Toni Owens is at a crossroads. Divorced, low on funds, and unhappy with where she’s at in life, she decides to buy a lodge in the mountains and start over. When she arrives at her new home, she finds the grand lodge is a run-down mess. 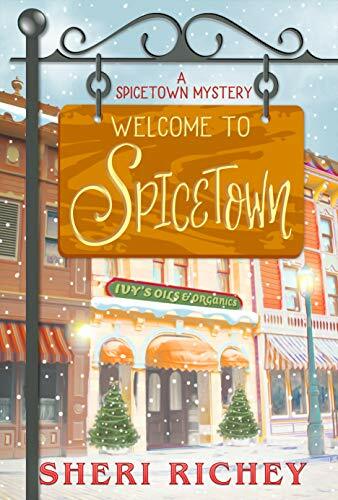 To make matters worse, she finds the one person she’s connected with standing over a dead body on her first full day in town. Now, Toni needs to find a way to clear her new friend of murder while searching for a job and figuring out what to do with the lodge she’d pinned her dreams on. 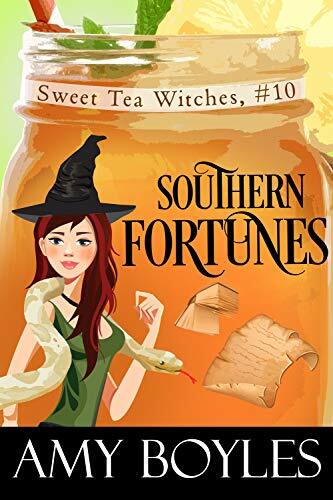 Throw in a goofy dog who needs a home, a ghost reluctant to share his space, and a handsome neighbor eager to help her rebuild, and she’s got her hands full. Determined to make her fresh start a success, she rolls up her sleeves and gets to work, but will it be enough?